The Benguela Collection can proudly boast that, in addition to the Benguela Cove Estate in the Walker Bay Wine Region, they will soon also produce wine from their two estates in the United Kingdom. Chardonnay, Pinot Mineur and Pinot Noir was planted last year at Mannings Heath Golf and Wine Estate in West Sussex, England. This will be the first golf and wine estate in the UK. More plantings will take place in the UK this year, adding to Mannings Heath with new plantings at Leonardslee Lakes and Gardens. The latter includes the exciting prospect of the first Pinotage vineyard in the UK. The different vineyards of the Benguela Collection are all site specific, pushing viticultural boundaries to produce characterful wines packed with flavour, all with a very distinct sense of place. Winemaker Johann Fourie says he wants to make wine in which you can taste the intrinsic qualities of its makeup. “Every sip should take you back to where these vines are rooted in the Walker Bay Wine Region.” Fourie adds smilingly that the best thing about the 2018 vintage had to be that the cellar was finally free from the sounds of builders and plumbers. “A big shout out goes to the superb vineyard and cellar teams who is thoroughly committed to quality and plays an essential role in the success of such a business.”The 2018 harvest produced 310 tons including Cabernet Franc, Cabernet Sauvignon, Malbec, Merlot, Mourvédre, Petit Verdot, Shiraz, Pinot Noir, Chardonnay, Sauvignon Blanc, Semillon, and Viognier. Plantings, in order by volume, are mainly driven by Sauvignon Blanc, Shiraz, Cabernet Sauvignon, Pinot Noir and Chardonnay. His further comments: Last year was Benguela Cove’s first vintage in the new cellar. The second time is always easier and the newly completed cellar felt like home. The big effort that went into the vineyards – which are between 10 to 13 years old – will lead to a great outcome in the long run. Infrared photography was applied to identify any differences in growth strength and the vineyards were micromanaged accordingly. This also affected the way in which the irrigation and fertiliser was applied. Precision viticulture was applied with blocks managed separately. Sampling and separate pickings were done in sub-blocks to fine tune the possibilities. The new irrigation strategy included the conversion to drip irrigation, a game changer in a year of water scarcities. 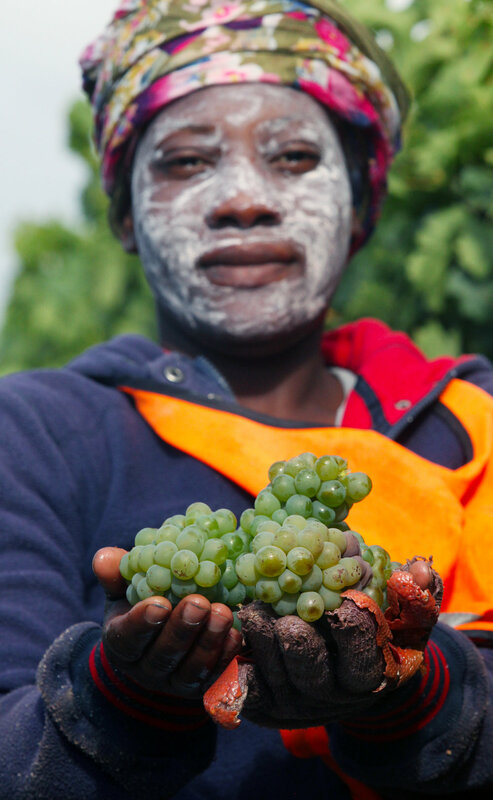 While there’s still work to do, we made great strides in 2018 as far as quality and vineyard management is concerned. We had a dry but cooler growing season with lots of wind. The drought is playing a role in the size of the harvest, but it wasn’t a game changer at Benguela Cove. Being a 95% dryland estate we had to irrigate some vineyard blocks twice that never needed water before. So yes, it was dry and the vines communicated that. Although the vines didn’t struggle we see the knock-on effect of three consecutive dry years in the size of the crop and subsequent smaller yield. It also varies from cultivar to cultivar. Chardonnay is down by 45% and Sauvignon Blanc down by 10%. Heavy winds affected growth strength and flower set, contributing to a smaller crop. Vines are wonderful things - they learn how to compensate and have visibly adjusted to the marginal conditions close to the sea. There was almost no evidence of salt burn on the vines, compared to when the vines were first established. Cold and windy conditions affected photosynthesis that slowed down the production factory of the vines, resulting in shorter shoots, a smaller canopy and lighter bunches. Wind was our friend and kept the vines healthy. The cool breezes also play a huge role in cooling the vines in the peak of summer. We don’t complain about cooler summers. On average we are blessed with cool weather and this year was even cooler. The late season is proof of that. This also contributed to a smaller harvest. It was dry and cool and when harvest time came, so did the rain. Last year all the elements played along and everything went to plan. All we had to do was to bring in the 2017-Boeing and land it very carefully. In 2018 we faced the opposite scenario. After every heavy rain we had to wait a couple of days for water to clear from the bunches. Do you subject it to rot? Do you cut before the rain or take the chance and cut thereafter? Sometimes you have to settle on a 50/50 ratio with 50% for insurance. If we were in a dance with Mother Nature, she most definitely takes the lead. But this year she really kept us on our toes, a free style kind of dance where only she knew the steps. Fortunately, we picked at the right times. One would think that smaller berries equal thicker skins and less juice with very tannic wines as the result. But it’s not the case at Benguela Cove. The berries are still small but delayed spells of photosynthesis might have inhibited the production of bold tannins. 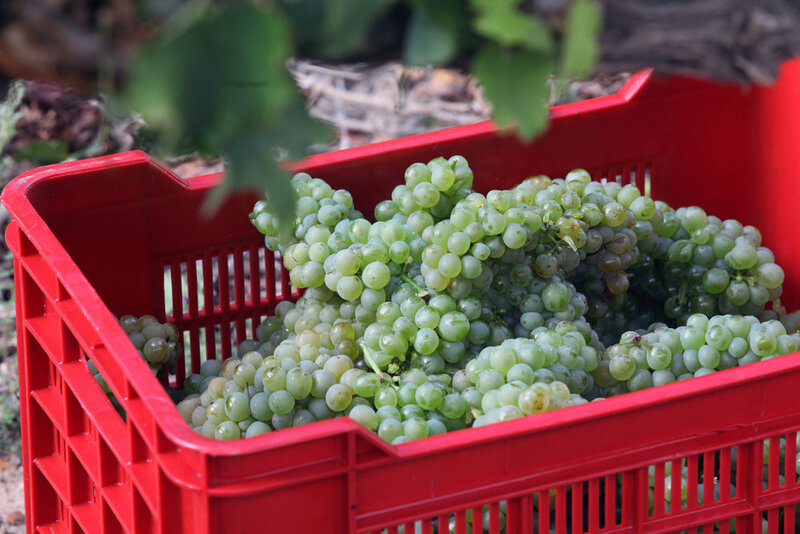 The 2018 harvest has the potential to produce elegant, vibrant and concentrated wines packed with fruit. Sauvignon blanc and shiraz will always flourish here, but the cabernet sauvignon and chardonnay might find itself on the podium promoting cool climate wines.We did a lot of trials this year on our fine tuning journey. Every year we understand the blocks a bit better and every year we get to zoom in that little bit more to nurture and improve the standout blocks. This year a block of sauvignon blanc that was harvested on one day was split up in the cellar and put in foudre (large wooden vat), smaller barrels, stainless steel, a concrete egg, terra cotta pot and a ceramic clay pot), to mention just a few. I cannot wait to see what each of these can give us. With experience in working with grapes from many different wine regions to produce the best wine possible, the focus is now on mastering the style produced at Benguela Cove. I want Benguela Cove to represent elegance. It took a mind shift from making the best wine regardless where the fruit is from, to making it your goal to feature where the wine is from and to produce the best example possible.